Players, start your Carts! Patch v4.3 introduces Shopping Carts to Battle Royale. Ride solo or grab a friend to cover you as you roll around the map together. Lights, camera, action! Complete part two of the Blockbuster questline in Save the World. Finish and unlock the newest Mythic Hero! Have feedback? Let us know on our social channels. Ready, set, GO! Race across the map in Shopping Carts. Find one in Battle Royale now. Know your goals! UI elements have been added so you can track your Challenges in-match. Blockbuster returns with part two - A Hero is Born. Reunite with Ray and join the effort to save Spitfire. Part two of the Blockbuster Event is playing now! Communication is key. Talk to your team over voice chat on PC. Turbo Build: Structures now build faster after the first building piece is placed. Your first structure is built 0.15 seconds after holding the button (unchanged), any additional structures built while Turbo Building are placed after 0.05 seconds. This fixes the issue that was occasionally causing a structure not to place when quickly building. The reason there’s a difference in timing between the first structure placed (0.15s) and Turbo Built structures (0.05s) is to allow additional time for players to switch structure type or rotate pieces. Added a toggle for 'Edit Mode Aim Assist' ingame options. This has always been enabled for controller users. You now have the option to enable or disable this feature. Edit Mode Aim Assist attracts your aim towards the closest building square and partially confines your crosshair to the building piece your editing. Save the World and Battle Royale now have their own unique loading screens following mode select. Turbo Building is no longer cancelled when cycling through Traps to get to a new building piece on your quick bar. The "out of resources" sound effect no longer plays repeatedly while trying to Turbo Build without any resources. Menu sliders no longer become unresponsive on controllers after a tooltip pops up. Having a full backpack will no longer cause picked up items to disappear when dropped on the ground. Fixed issues while aiming diagonally when using a controller. The stick input was not correctly translating into camera rotation causing the camera to never reach its maximum turn rate when aiming diagonally. Camera input curves have also been slightly tuned to account for the change in diagonal aiming speeds. Fixed player movement corrections upon landing from a jump after activating sprint mid-air. Fixed a crash that could happen when logging out. Mushrooms will grant 5 shield (up to 100). Can be found around shady wooded or swampy areas. Jetpack fuel meter now displays correctly when swapping to a different Jetpack. Traps no longer wait for the player built structure to finish building before triggering. Vending Machines can no longer be destroyed by Remote Explosives. Room for two - push it around or ride as a passenger! Can shoot from passenger seat. Found scattered around the world in various locations. Faster storms, more loot, exciting finishes! Updated with all of the new weapons & items that have come out since Blitz was last released: Port-a-fort, Clinger, LMG & more. Bus flight height has been lowered to allow players to get into the fight more quickly. The storm is already closing in at the beginning of the match, choose your landing spot carefully! Increased materials found on ground from 30 to 75 per instance. Increased the number, spawn rate & descent speed of Supply Drops. All stats are counted in this mode. Five teams of twenty players fight to the finish! Each team now has their own bus, to make it easier to drop together. Chests & Supply Drops now spawn extra ammo and consumables. Each team is composed of five squads of four players. Increased chances of treasure chests spawning from 50-70% to 60-80%. Increased chances of ammo boxes spawning from 65-80% to 75-90%. Supply Drops always come in batches of 5 instead of random amounts per Storm Circle. Supply Drop rate increased from 180 (+/- 30s) to 210 (+/- 30s). Teams of 20 has six Storm Circles instead of nine. Most matches will end within 20 minutes. All stats except for wins are counted in this mode. Shotgun fire adjusted to help alleviate situations where it would hit world objects instead of players. Players now face the correct direction when jumping from the Battle Bus. You can no longer headshot downed players through their bodies. Shots to the upper chest and neck won’t count as a headshot. Items that fall off the map won't teleport to the nearest player anymore. Supply Drops no longer collide with items on the ground while landing. Visual effects no longer appear delayed after opening Supply Drops. Major optimization pass to the end of match UI in order to reduce hitching on elimination. Fixed a case where traps and weapons were being improperly removed from memory between matches and causing in-game hitches. Major optimization for distance field ambient occlusion on PC, PS4 Pro and Xbox One X (GPU optimization). Optimized translucency rendering on consoles in all scenes (GPU optimization). Made additional improvements to material loading. This will help buildings and characters stream in even faster and reduce hitching. Lowered CPU cost of moving simulated networked characters, especially those invisible or furthest away from the player. Improved rhythm of footsteps on dirt and grass to be more consistent. Bouncing grenade audio will no longer be heard after the grenade explodes. Streamer mode now anonymizes your name for other players. The Self-Service Cosmetic Returns feature has been re-enabled. Large team modes like 20v20 will be selected by default for new players when one is available. Locker and Store item rotation speed is no longer based on your controller or mouse sensitivity setting. You can now zoom in on the map screen with the gamepad. You can now customize the button used to open the full screen map while spectating. Binding locker emotes is now working as intended. Player's level and experience values will no longer appear as 0 in the match stats screen when eliminated. Player’s score and XP gains will no longer go off the bottom of the match stats screen after completing a match. Consumable timers will now display in all cases. Added custom Hunting Rifle firing animations for player and weapon. A visual effect is now played whenever a player joins or leaves the party or changes their outfit on the pre-game lobby screen. Slightly updated the animation while in DBNO. Holding consumables while using the jetpack no longer causes animation issues. The animation for jumping while eating foraged items has been fixed. Smoothed out Replay Drone controls. Added an option to preserve camera settings when switching cameras. Changed sorting order in Replay Browser. Out of date and corrupt replays are now at the bottom of the list. Voice chat with your party can now be enabled in settings. Push-to-Talk with your party members! Editing different stair configurations will work more consistently. Fixed an issue causing players to be unable to download Fortnite even if they had enough storage space. General fixes to input touch state to better support *many* fingers. Trajectory indicators no longer appear when entering DBNO. Supply drop health numbers now update correctly when damaged. Fixed an issue where touching the quickbar when weapon switching is unavailable could cause your inventory to be stuck on the wrong weapon. Where is Ray? What will become of Spitfire? Who is that mysterious hooded stranger? The answers to these questions and more in - Blockbuster 2: A Hero Is Born. Added 64 additional Skill Points throughout Commander Level rewards. These new Skill Points will be granted to players according to their current Commander Level. The last two Defender Skill Tree nodes in every Skill Tree tier are now unlockable. On the last day of each month, two free Upgrade Llamas will be available in the Loot store. They’re only available that day so make sure to grab them! Increased the amount of Gold awarded when using BluGlo to boost the difficulty of a mission. Added Legendary Flux to the Event Store. Available Wednesday, May 30 at 8pm Eastern Time. Reduced the preparation timer for the “Scan the Comet” mission from 10 minutes to 5 minutes. The "Sometimes they come back" quest now only highlights zones in which a Chrome Husky can actually appear. Chrome Husky won’t appear multiple times in the first Repair the Shelter tutorial mission. Rare enemies and Mini-Bosses now drop the correct amount of rare ingredients. Players now must complete the final 4 minute encounter to get credit for the “Repair the Shelter” mission. 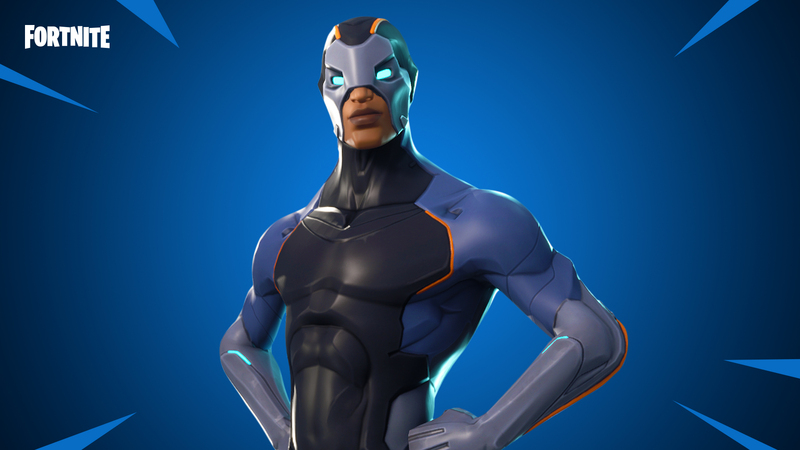 NEW Mythic Soldier Carbide has been added to the Blockbuster Event questline. Zip and Zap: Lefty and Righty become Space Pistols that fire projectiles which deal energy damage, bounce, and pierce enemies. Corrosive Clips: Lefty and Righty now causes affliction to enemies dealing damage over 3 seconds. I Love to Reload! will refresh duration even if it was triggered while already active. Lefty and Righty should now play the entire ending animation, without being interrupted when players keep trying to shoot. Ninja’s Mantis Leap Mutant Storm damage visual effects will now appear when landing on structures. Frag Grenade's cost won't be consumed if the Grenade does not spawn. Shockwave and Frag Grenade will no longer be improperly interrupted. Throwing Stars character charm will no longer be visible during Shadow Stance. Falling off the edge of the map while Lefty and Righty is active will no longer result in players respawning and be locked out of other abilities. Using the Goin' Commando!!! ability while force closing the client will no longer cause abilities to be locked upon game rejoin. This also applies to the Lefty and Righty ability. Fixed an issue that allowed the Ninja subclass Fleetfoot to Mantis Leap at no cost while Leaping Ninja Storm zone was active. Port-a-Fort is now available as a world drop. The Port-a-Fort is made of metal and is three stories high. Does not stay in your inventory after the end of a mission. Tiger Assault Rifle has been added to Weekly Store. The Tiger Assault Rifle has a unique perk loadout. Unlike previous event weapons, most of it's perks can be changed and will be randomly rolled when you first acquire the schematic. Available on Wednesday, May 30 at 8pm Eastern Time. Changed M80's and Bottle Rockets to be non-persistent items. They no longer take up inventory space and have their descriptions updated to reflect the change. Crossbows now properly have a base Critical Hit Chance of 10%, rather than 0%. Legacy Impact perks now grant the correct amount of impact. Blazing Masumune's Energy Nova perk no longer deals damage to friendly and neutral structures. Golf Clubs and Baseball Bats now benefit from Heavy Attack Stamina Efficiency perks. Legacy Energy Damage perks now display the correct rarity on ranged weapons. Increased Building Max Health perk no longer stacks. Building Max Health perk now applies the correct bonus values. Trap perks will now trigger the proper amount of times. The Heals Building perk no longer resets its timer if another trap with the same effect is applied to the same wall. The legacy trap durability perks now converts correctly to new perk system. Non-damaging traps no longer display critical chance in their stat list. This includes Freeze Traps, Launcher Traps, Healing Pads, and Wall Lights. Roman Candle perk damage scales properly. (now scales with Tech). Zapper and Zap Zapp will no longer roll headshot perks. Neon Sniper Rifle now has the correct chance to headshot Smasher enemies. The Military Crossbow now displays the correct mini-map icon. Moved the trace location on Wall Dart Traps so it can correctly target any enemy within the less than one tile range. Fixed an issue where tier pips displayed on the Blazing Masamune's unique perk, even though it can't be upgraded. Neon Sniper Rifle now correctly pierces through enemies. PC (and cross platform) Voice Chat support added to Save the World. UI now properly appears after being revived from the DBNO state if you were downed while falling or building. The particle system for DBNO is now attached to the player, so if the player falls the particles will follow. The Directional Jump Pad no longer activates repeatedly when a DBNO player is on top of it. Lowered the height of the damage volume for wooden floor spike traps. It will now match the shape of the trap and keep Shielders attached to enemies from being damaged. Visual effects for the Hover Turret no longer remain active after the Turret was destroyed. The Hover Turret now aims and fires correctly if it eliminates an enemy in one hit. Corrected the Hover Turret animation. Global chat can now be disabled. Options > Game Options > Global Chat Enabled. Added the microphone indicator next to the local players’ name in the HUD. FIRE-UP, AMP-UP, and FROST-UP better explain where to acquire them in their item descriptions. Enabled voice chat settings in Save the World. Added a help screen that can be accessed from the main menu. Lootable items (Mushrooms, Shrubs, etc.) will correctly display health bars. Fixed an issue preventing players from progressing through the frontend rewards screen. Submitting items to the Collection Book no longer attempts to apply the item twice. Chat now works after rejoining a party that you left. Navigation between schematic and item list in Backpack has been fixed. The weapon ammo UI now shows the correct number of bullets in the magazine when a player equips a freshly created weapon. Modify Perks option is no longer presented on items in the Collection Book. Players will no longer get stuck on the Perk Recombobulator screen when they don’t have enough resources. Traps perks which are being updated in the Recombobulator now correctly update Impact and Knockback as the perks are upgraded. Fixed double bottom bar in the frontend after inspecting reward chest rewards. Fixed quest tab not selecting an active quest and showing the Twitch quest details. Smasher charge no longer knocks back players who are using certain abilities like Dragon Slash if they have already been attacked by the Smasher's charge. Visual effects with inconsistent flashes will no longer appear with Blasters and Mini-bosses. In a Pinch visual effects no longer persist if lag occurs during removal. Storm Shields are now correctly visible when viewed from the top and bottom. New mixes for exploration, ambient and combat music added. Fixed an issue where encountering a single enemy triggered medium threat combat music.